It is hard to believe that it is only four months since I started to ask people to spare us their poetic change for ‘Arfur’, but I am pleased and proud to be able to say that we have finally got it all together and the first issue is about to go to print. I’m a little new to this, as you know, so if this isn’t the done thing I’ll apologise now, but I thought it only right to say thank you to all of the people who submitted work, whether they ended-up in the magazine or not. It quite simply could have been hundreds of pages long and at times could well have ended-up that way. The full line-up of articles, interviews and reviews will follow later. I have to say, getting the first issue of ‘A Restricted View From Under The Hedge’ blinking and out into the light will be a bit of a relief. Like the Anthology competition it feels as though the phoney-war has gone on forever and I just want everybody to see what we have ended-up with – the selection for issue #1 is made and lots of emails will start flying on Monday. 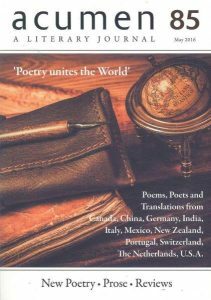 It is quite a line-up, both in terms of the poems/poets included, and in the various articles and interviews. I have said to a few people that my taste in poetry is a little eclectic, so it was always going to be something for everybody ahead of everything for somebody, well, unless you are me, clearly. I’m aiming to publish a list of contributors next week. Not quite sure if that is the done thing or not, but certainly for the first issue I can see that people may need to know what they would be buying into if they take a punt on young Arfur. However, if you are adventurous, you can always take a punt and pre-order HERE. 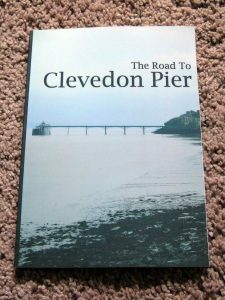 We are more than pleased to finally be able to announce that Victoria Richards is the winner of the ‘Road To Clevedon Pier’ Anthology Competition, with Matt Duggan and Sarah Thomson being Highly Commended as Runners-up. They, along with all of the poets who made the longlist will be appearing in the Competition Anthology to be published in April. That Longlist in full is below, and congratulations and thanks to everybody that took part. I’m not sure that I’ve ever felt quite as popular as I did last weekend, what with Submissions for Arfur and the deadline for the Anthology Competition falling – emails every minute or two and all filled with poetry. It is down to earth this week though, as I suddenly realised that it was ‘over to me’ and that I needed to get on with it. I’d kind of been keeping an eye on the submissions for Arfur, and so felt it was better to go for the unopened tin that was the ‘Road to Clevedon Pier’ competition first instead, and my god there was a fair old pile of them. All of the entries were printed and coded, and left ‘unnamed’. I feel bad about the printing, but there we are, I hate reading poetry on screen and well, I’m a Luddite, what can I say. I read all of the poems one at a time, not to sift or sort them or otherwise get myself organised, but just to see if any grabbed me. At this point I deliberately didn’t want to think about it all as a competition, instead just read and enjoy. From there, I had a day off. I’m quite lazy, really. I panicked a little as the ‘possibles’ towered over the ‘sadly nots’. I thought I’d better read them again. But took the rest of the day off first. I read them all again and this time ended-up with a smaller ‘possibles’ pile, which I then managed to split into ‘probably’ and a ‘probably not, though I’m still not 100%’ piles. I felt as though I was getting somewhere now. I took another day off as this was becoming like hard work and I wasn’t sure I’d signed-up for that. I read them all again and started binary sorting them (I always knew that Computer Studies CSE would come in handy one day) and then somehow I ended-up with a longlist. These will be the ones that appear in the anthology. I definitely took the rest of that day off at this point. From there it was easy and I soon found my three poem shortlist. And that is where we currently are. I just need to pick a winner, but unfortunately it is from three poems that I have totally fallen in love with. Decisions, decisions. What to do? Well, take the weekend off, clearly, and work it out on Monday. The interesting thing is that I still don’t know who has written the poems as I’m leaving that ‘pull back the curtain’ moment until I pick the overall winner. I would like to thank everybody who entered, you have written some really fine poetry, i just wish it wasn’t such hard work. 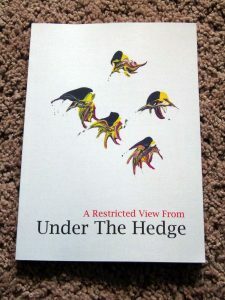 I just wanted to say thank you to everybody that submitted their work to our new magazine ‘A Restricted View From Under The Hedge’ and/or entered the ‘Road To Clevedon Pier’ Anthology Competition. It is only three months since we decided to start a press and I can’t help but be amazed at just how much friendly support and good wishes we have received so far, and it is all a little humbling in truth. But more importantly, we’re aiming to have the competition judged, the selection for issue #1 of the magazine settled quick and smart and hopefully create something worthy of your time. 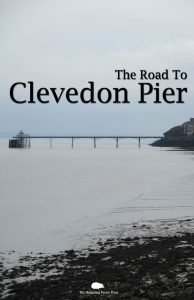 Enter our Anthology Competition, ‘The Road To Clevedon Pier’ for the chance to win some money, and to see your poetry appear in our first ever book, among other things. Both end on Monday the 15th of January at a smidgeon before midnight. For those that I managed to confuse, the Collection competition – ‘A Slim Volume of One’s Own’ doesn’t end until the 15th of March. 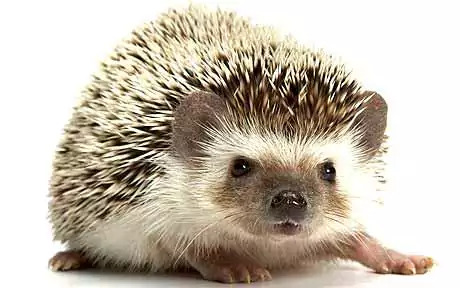 That costs £25 to enter, but if you are a member of the ‘Cult of the Spiny ‘Hog’ which also costs £25 to join, you can enter as many times as you like for no further pennies. i.e. Join the Cult for £25, enter both competitions as many times as you like and get both the Anthology and the Magazine for not a penny more. Also get invited to various writing prompts and contests that are exclusive to the Cult. All for exactly the same price as entering the Collection competition. There is a clue there. Happy New Year, although to be totally honest all of those festivities are already fading as the sheer terror of a deadline creeping up on me becomes apparent. Yes, it seemed a million miles away, but it in terms of the deadlines of submissions for Arfur, and entries for the ‘The Road To Clevedon Pier’ anthology competition the sands have nearly all squeezed through the gap. No, I’ve lost my thread too. 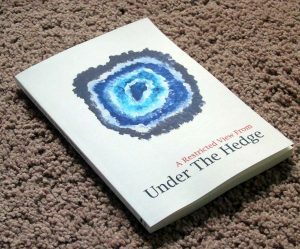 Regardless of all that, here is a quick reminder that if you wanted to submit a poem for the first issue of ‘A Restricted View From Under the Hedge’ or if you wanted to enter our Anthology competition, the deadlines for both are the 15th of January. 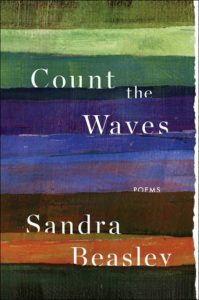 One of the poetry collections I constantly return to that was published over the last few years is Sandra Beasley’s quite brilliant ‘Count the Waves.’ I won’t preempt the review in Arfur#1, but I don’t think the lady will be losing any sleep over it. Anyway, it set me thinking about all of those poets out there who are putting collections together, and how there really isn’t an instruction book on how best to do it. I guess I’d always assumed that, like a band writing an album, poets sit down and write them start-to-end, or perhaps they write a lot of ‘singles’ and then collect them into their own 20-golden-greats-not-available-in-the-shops. Maybe they just take lots of drugs and Jam them in the studio, I don’t know. 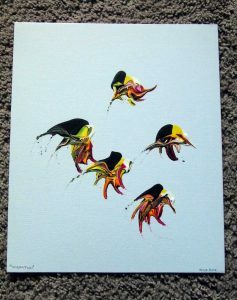 That was when I realised that I really didn’t know how they do it, and more to the point how you go about following-up a collection like Sandra’s. There is a certain pressure, I imagine. 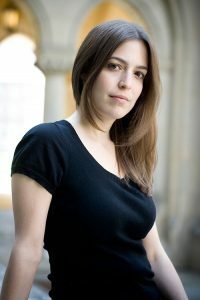 So that is when I thought I would start to stalk Sandra Beasley. 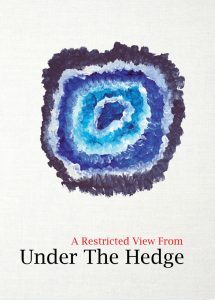 Which I guess gives a spin on ‘A Restricted View From Under The Hedge’ that I hadn’t really intended from the start. Luckily, there is no need for any restraining orders as I did the decent thing and asked the lady herself whether we could all follow her as she works toward her next collection. This would be a series of articles in Arfur over however long it takes for the book to be completed, and we can see what is involved along the way. So I’m pleased to say Arfur #1 sees us starting to follow Sandra’s progress, and all very uber cool it is too. When we started to decide what was going into our first issue of Arfur, the editors of these two fine magazines were top of my list to talk to and I was all rather pleased that they both agreed to give me a little of their time for a chat. This week we finished our conversation with Patricia Oxley of Acumen and I’m pleased to say that it will be appearing in our first issue of Arfur. 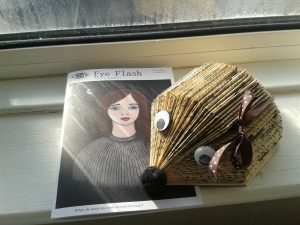 To counterpoint this, I thought it would be a fine and somewhat dandy idea to also talk to the editor of the newest magazine I have discovered, the equally fabulous Charlotte Begg of Eye Flash Poetry. I raved about their own first issue a few weeks ago and going back to it (again and again) it only gets better and to be totally honest I can’t wait for their second issue which I hope isn’t too far away. Our talk with Charlotte will also appear in issue #1. 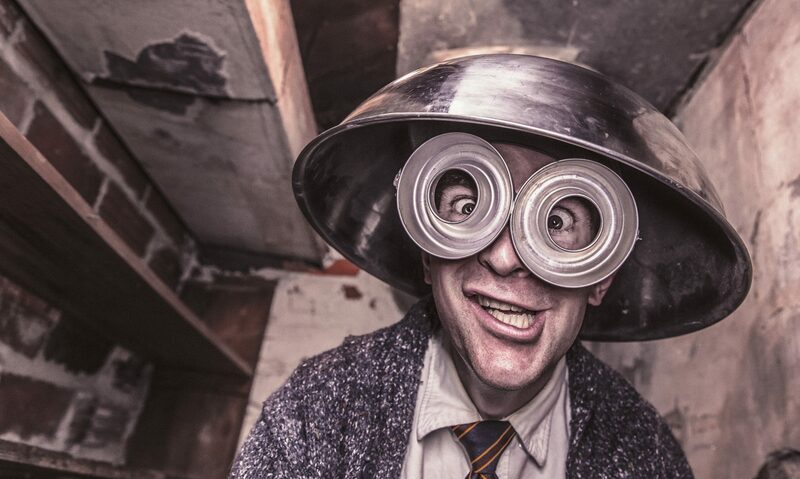 You can find out more about Acumen Here and Eye Flash Poetry There. 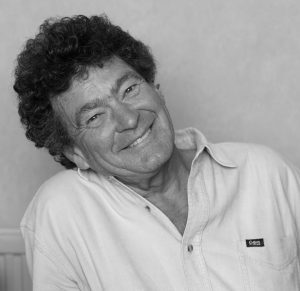 We are starting to pull it all together now for the first issue of Arfur, and one of the real gems we have in there is an interview Eileen Carney Hulme did on behalf of the ‘Hog, with the rather wonderful Brian Patten. I won’t spill the beans just yet, but I must admit it is many kinds of cool and Mr Patten is everything you would expect him to be, class personified. You can find out what Brian is upto at the moment Here and Eileen is more in an over There direction.